Alongside our friends at POW! WOW! we are excited to announce the 5th Annual 1xRUN x POW! WOW! 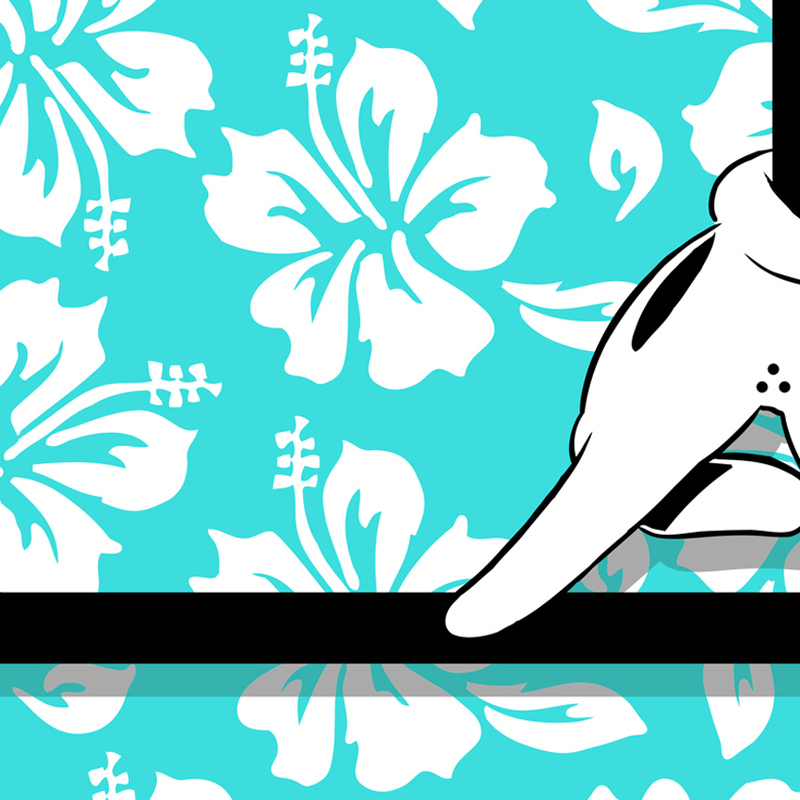 Hawaii Print Suite featuring the 2017 roster for POW! WOW! Hawaii! We will be kicking things off on February 8th and releases will run until February 23rd! 1xRUN will also be back at Lana Lane for the 5th Annual 1xRUN x POW! WOW! Print Exhibition which will run from the 14th through 18th. Be sure to stop by and see us if you're out in Honolulu and if you can't make it be sure to snag your favorites while you still can. Read on for the entire 2017 1xRUN x POW! WOW! Print Suite! 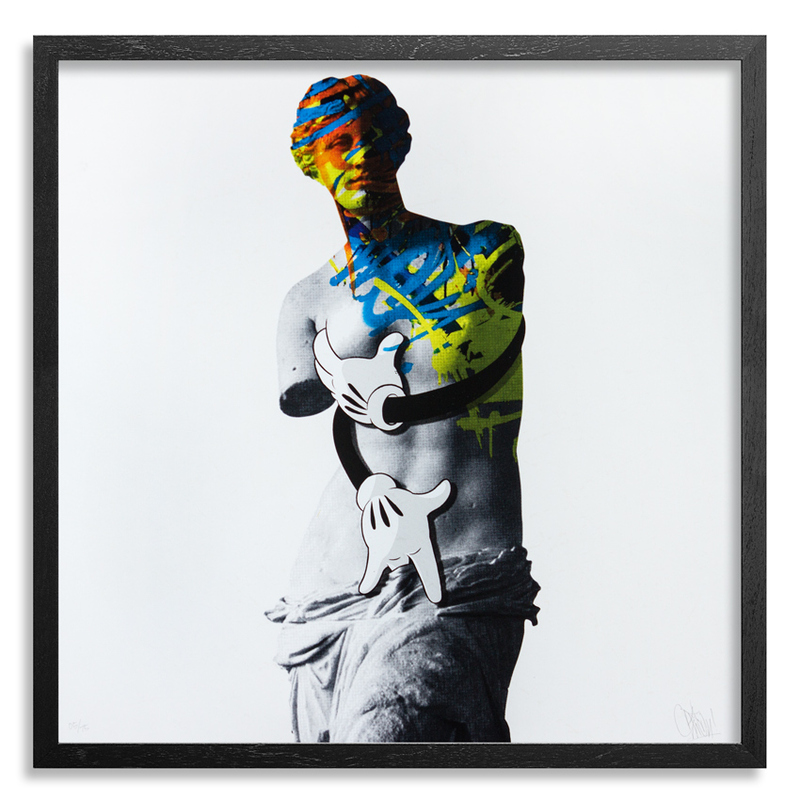 This RUN comes signed, numbered and with a Certificate of Authenticity from Slick and 1xRUN. NOTE: This RUN is hand-embellished and will vary from the example shown. 1xRUN is proud to announce the 5th Annual POW! WOW! 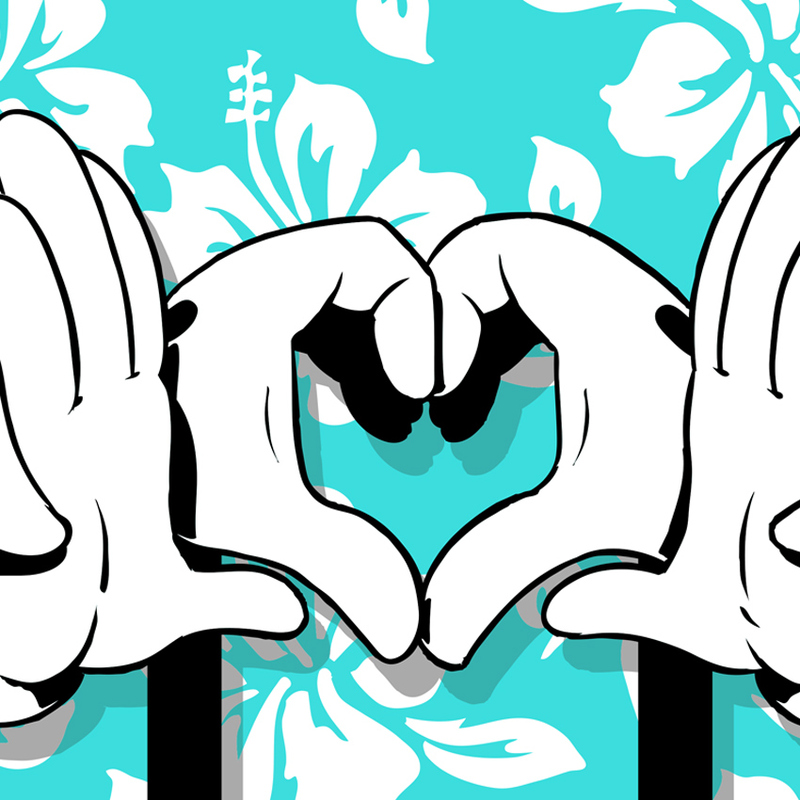 Hawaii Print Exhibition featuring 30+ artists participating in this year’s festival. 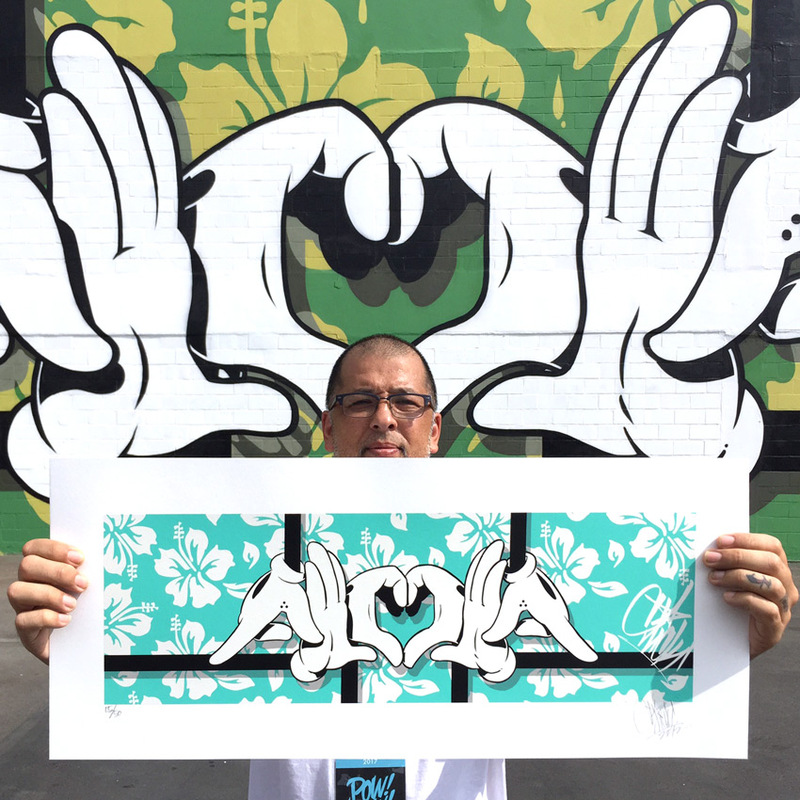 Building on this unique partnership with the world’s premier mural festival, 1xRUN will release new prints each day beginning February 8th - 23rd at 3pm EST / noon PST / 10am HST. In addition, 1xRUN will host their annual pop up exhibition with surprise in-store exclusives opening February 14h - 18th at Lana Lane, POW! WOW! Hawaii’s central hub located in Kaka’ako. Participating artists for the 2017 1xRUN x POW! WOW! 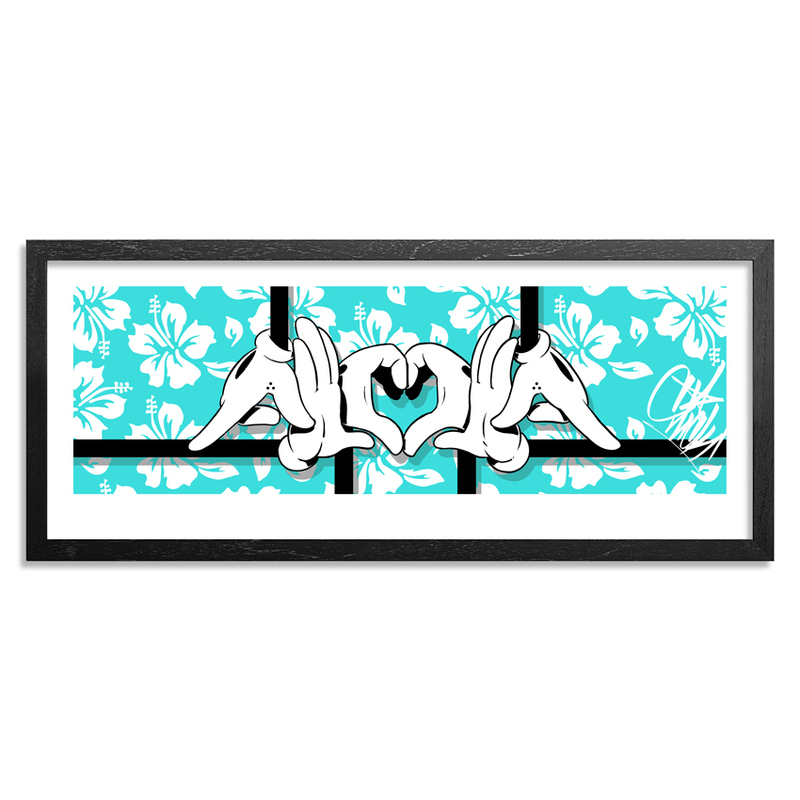 Slick's rise to the top can be traced back to the mid 80's, from painting on the streets of Honolulu to the mean streets of Los Angeles. Slick spent his early years attending Art Center College Of Design during the day and doing graffiti at night. The legendary "Slick vs Hex" graffiti battle was pivotal moment in Slick's career. He went from underground hell raiser to garnering worldwide acclaim, forever changing how graffiti characters are painted to this day. The international attention opened the doors for Slick to paint everything from music videos, feature films, album covers to full fledged gallery exhibits. It was during this time, he realized he could reach a larger audience by putting his art on t-shirts. 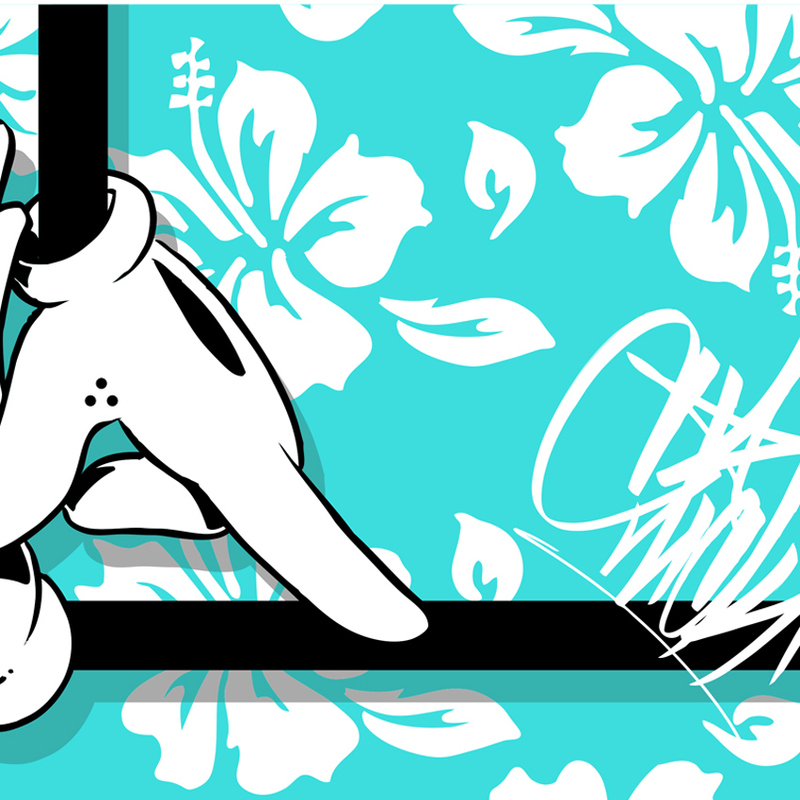 Since his first designs in the late 80's, Slick has designed graphics for the likes of Stussy, X-Large, Adidas, Obey, Disney and the list goes on. His graphic design aesthetic has influenced an entire generation of artists/designers. He pioneered a movement called "street wear" long before the term was even coined.